Both the lipsticks that I have are bright, bold colors. 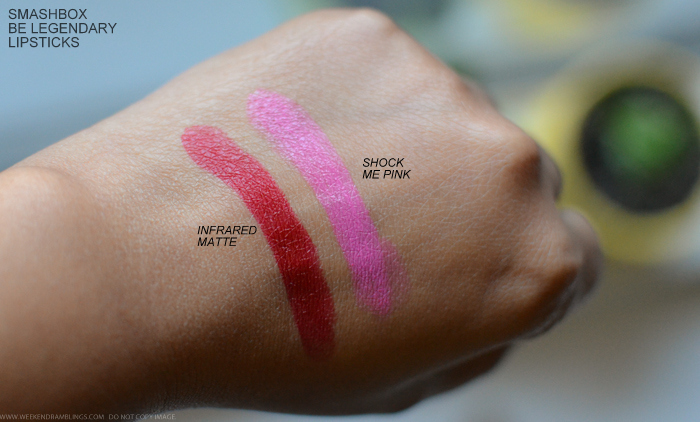 Infrared Matte is a true red, and as the name suggests is a matte lipstick. 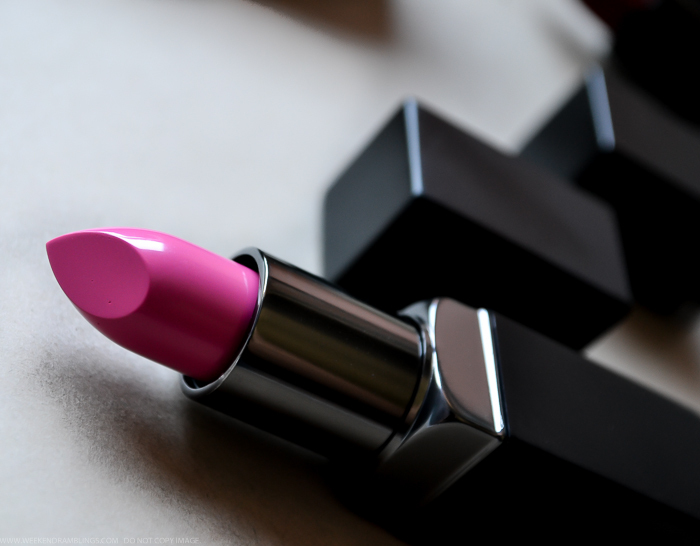 Shock Me Pink is a bright neon pink with a creamy finish. 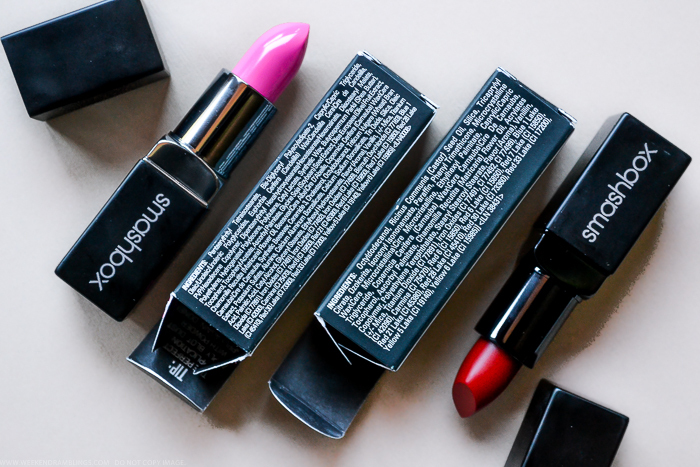 The lipsticks are very pigmented and give full, opaque coverage without the need to apply too much product. Here's a look at the swatches. I don't usually wear bold colors, so both these colors are a little out of my comfort zone. Much to my surprise, though, Infrared Matte has turned out to be my favorite red lipstick. 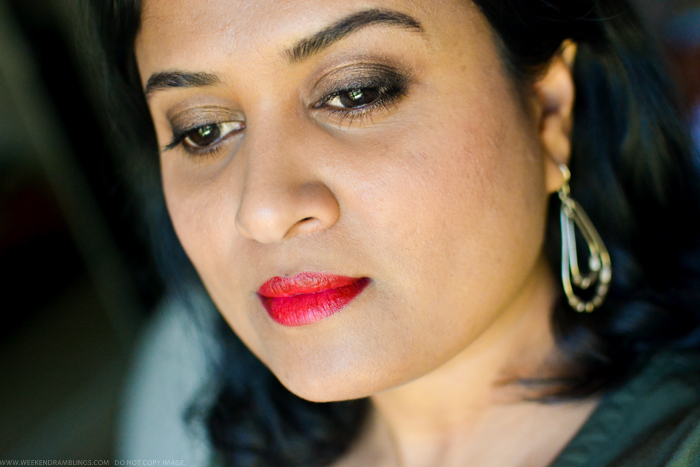 Yes, it's a red and does need a bit of an effort with my makeup routine, but because this lipstick is incredibly pigmented, it gives opaque coverage with a thin, weightless finish on the lips, and the matte finish makes this a very wearable modern red. The color is also quite long-lasting, easily holding on for 4-5 hours and leaving a stain on the lips when I remove it at the end of the day. The matte texture definitely does not feel moisturizing, but it doesn't dry out my lips either. Shock Me Pink, on the other hand, is a bright neon pink that is definitely too bright for me. I have applied a very sheer layer in the photo below, though, of course it can be easily built up for an ultrabright lip. 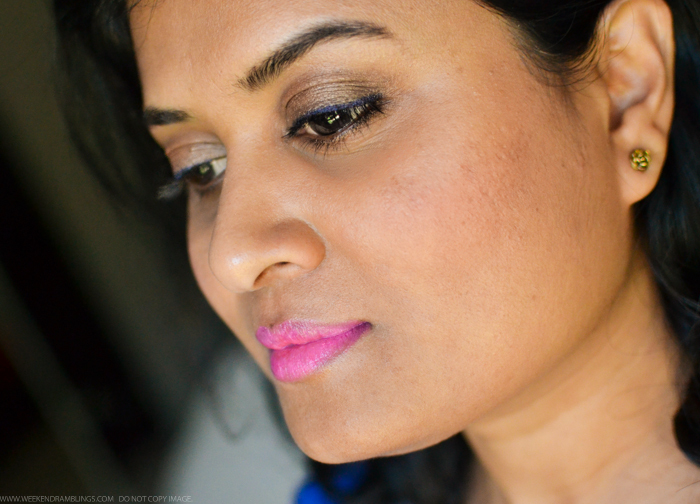 While the creamy lipstick feels quite moisturizing on the lips, it also tends to accentuate any flaky bits of skin on my lips. This might not be an issue if your lips are in good condition, but I have dry lips, so prepping the lips beforehand would be an absolute must for me. 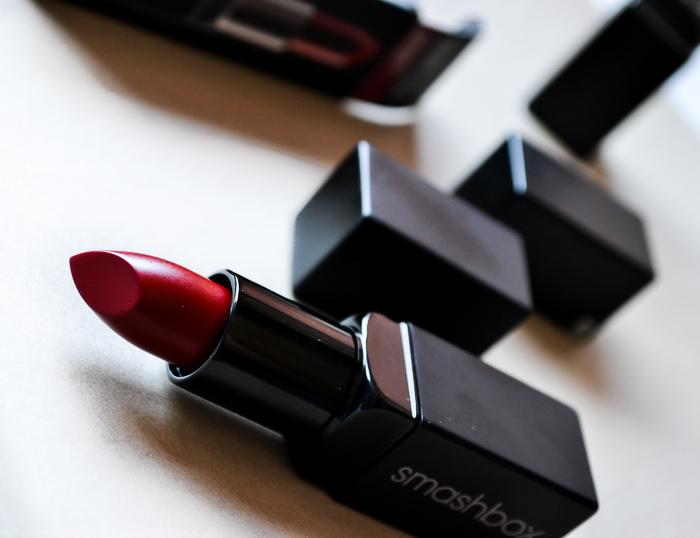 Overall, I would definitely recommend the Smashbox Be Legendary lipsticks if you are looking for bold colors and longer-lasting finish. Personally, I prefered the matte finish to the cream, though. 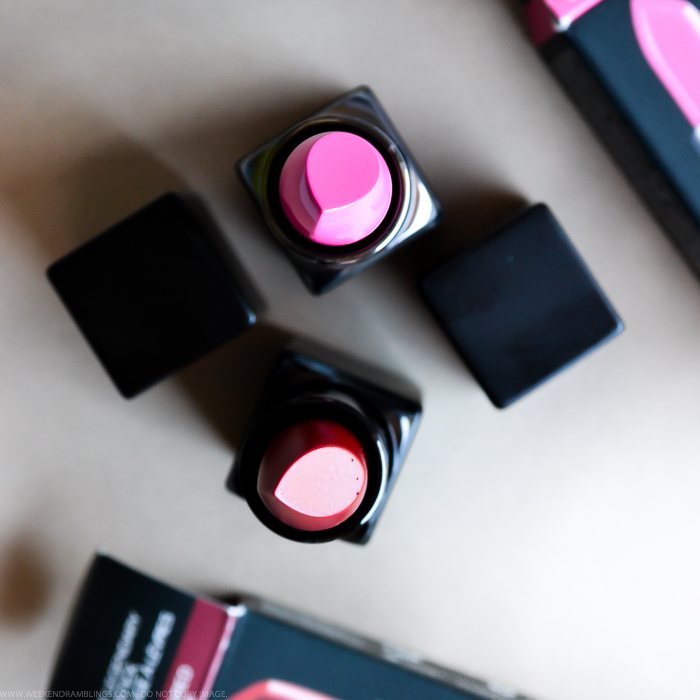 Infrared Matte would be my pick for the perfect modern red, and going by online reviews, there are quite a few other beautiful matte shades in this range. Wow so pigmented and creamy! I love creamy lips, so this is right up my alley. While the red is a sure shot winner, I love how you made the pink work for you! What do you have on your eyes here - looks gorgeous! Thanks, Pav! It's a color from the Maybelline Nudes palette and a UD eyeliner - I think Empire.